Much of our business thinking is shaped by delusions-errors of logic and flawed judgments that distort our understanding of the real reasons for a company's performance. 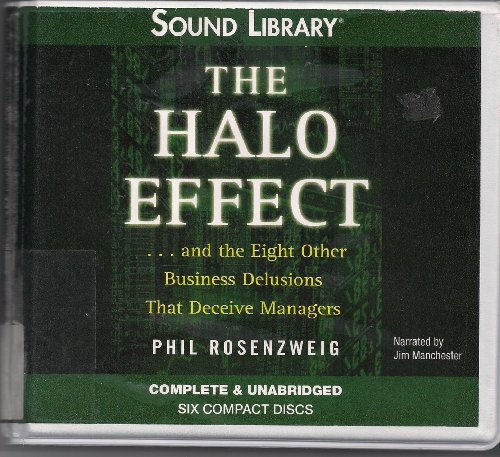 In a brilliant and unconventional book, Phil Rosenzweig unmasks the delusions that are commonly found in the corporate world. These delusions affect the business press and academic research, as well as many bestselling books that promise to reveal the secrets of success or the path to greatness. Such books claim to be based on rigorous thinking, but operate mainly at the level of storytelling. They provide comfort and inspiration, but deceive managers about the true nature of business success. If you have any questions about this product by Blackstone Pub, contact us by completing and submitting the form below. If you are looking for a specif part number, please include it with your message.